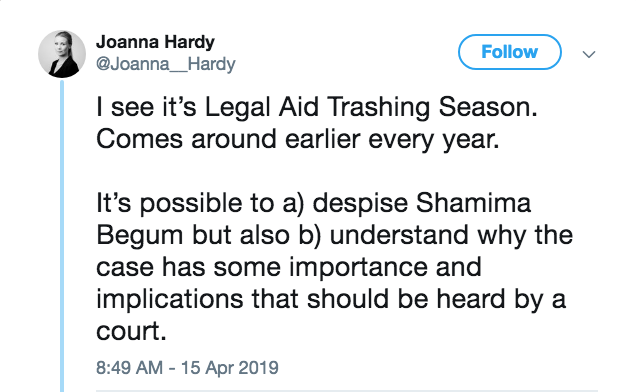 Once again the Wall Of Gammon™ and its agents provocateurs are in full cry at the thought that someone born in the UK should have the right to legal aid - because they are not white. Shamima Begum, who was groomed at the age of 15 (remember, white girls in this category would attract no such outrage), is challenging the decision of Home Secretary Sajid Javid to strip her of her UK citizenship. 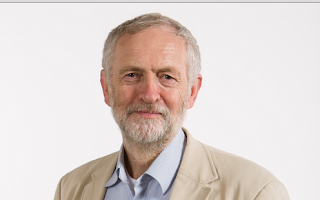 Labour leader Jeremy Corbyn, as so often, is unlike Javid not looking for a cheap soundbite to convert into a couple of opinion poll points, but to advocate for what he concludes is the right thing to do. As the Guardian has reported, Jezza told that “She is a British national and therefore she has that right, like any of us do, to apply for legal aid if she has a problem. She has legal rights, just like anybody else does.” Quite. 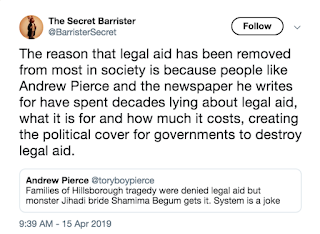 He added “The whole point of legal aid is that if you’re facing a prosecution then you’re entitled to be represented and that’s a fundamental rule of law, a fundamental point in any democratic society.” Also, “The Law Society, which represents solicitors across England and Wales, also backed Begum’s entitlement to legal aid”. And the Secret Barrister has asserted “The removal of a person’s citizenship - a government telling a British-born citizen ‘You have no right to exist within our borders’ - is one of the most far-reaching decisions the state can make. 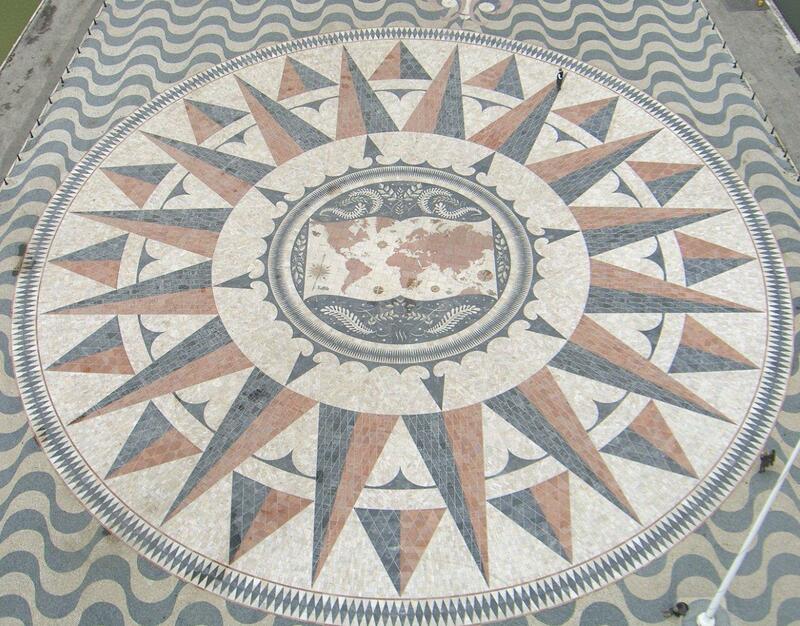 We do not want to live in a country where politicians can act with unchecked power … The rule of law requires that those affected have a route to challenge a decision”. 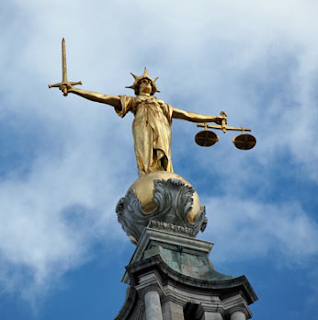 Moreover, “Corey Stoughton, the advocacy director at the human rights group Liberty, described the granting of legal aid in this case as ‘absolutely necessary to ensure that the government’s decisions are properly scrutinised’”. When one sees the voices lined up in opposition to the legal aide decision, you can see that Jezza is right. 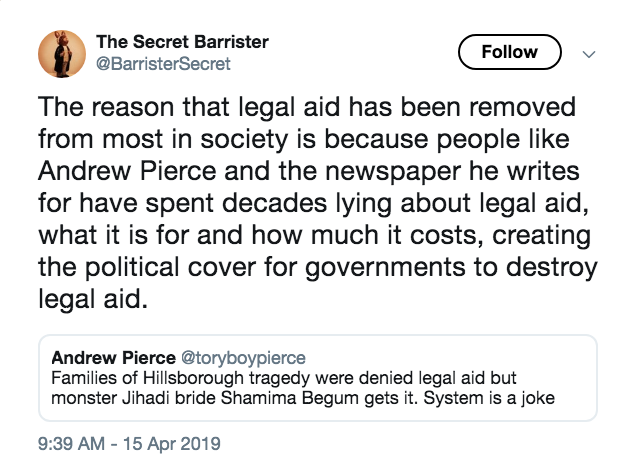 Those arrayed against Ms Begum’s right to legal aid include the Daily Mail’s deeply unpleasant Andrew Pierce, who has Tweeted “Families of Hillsborough tragedy were denied legal aid but monster Jihadi bride Shamima Begum gets it. System is a joke”. Two things here. One, Both the Hillsborough families and Ms Begum should get legal aid. And Two, cuts enacted at the behest of his own paper have prevented this. Elsewhere, the Murdoch Sun - not that it’s a cesspit of racist bigotry, you understand - has talked of “fury” and secured a quote from repulsive bigot Philip Davies, who claims to be an MP. The Mail says his fellow Tory “Tim Loughton, former chairman of the home affairs select committee, said: ‘This shows that the Home Secretary was right to strip her of British citizenship’”. 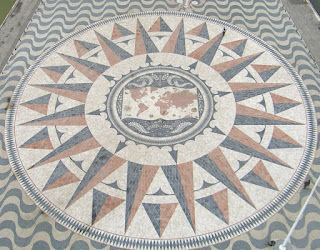 On the basis of what, exactly, O wise one? 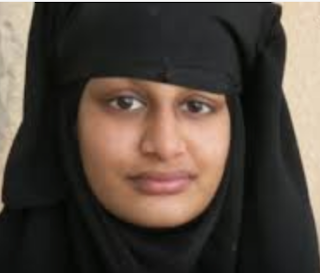 The rest of the opposition to Ms Begum receiving legal aid consists of an array of unappealing and intolerant right-wingers, including Arron “Diamond Geezer” Banks’ Westmonster site, Neil “A liar and a a cheat” Hamilton, unreconstructed tabloid bigot Nick Ferrari, and racist Richard Kemp, who was once in the British Army. 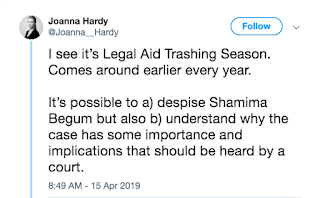 None of them have managed to see the obvious point: that there would have been no need for legal aid had Javid not been grandstanding on his way up the greasy pole. Jeremy Corbyn has once again done the right thing. More power to him. You are right, Jeremy is right, but the unfortunate thing is, it will cost him politically. The other Jeremy, Jeremy Hunt, said this morning (and I paraphrase) that Javid's decision to remove her British citizenship was a political decision rather than one based on law and therefore it was right that she should have recourse to legal aid to fight that decision through our courts. Amazing. I might have considered not calling Hunt Isaac were it not for the fact that he's playing on making Javid more unpopular.